I caught an extraordinary UFO sighting. I was watching an odd looking light crossing the sky at variable speeds around my house, during the sunset. To me it was just some sort of helicopter, or maybe a drone. But after 5 or 10 minutes, I began suspecting the object not to be man-made. It was performing weird maneuvers, accelerating and decelerating randomly. 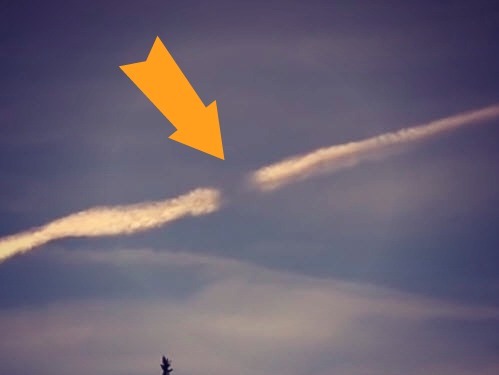 When the light started to accelerate towards a huge Chemtrail, I took my camcorder and tried to find it in the distance. What do you think this thing is? New type of secret military tech?